Official data showed on Tuesday that consumer inflation in January stood at the lowest level recorded since June 2017. Domestic equity benchmark indexes erased gains paced by declines in Hindustan Petroleum, Indian Oil, GAIL India and Bharat Petroleum. 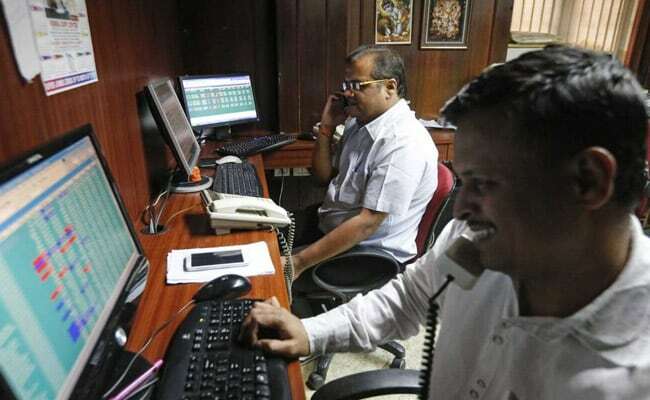 The S&P BSE Sensex fell as much as 341 points from day's highest level to 36,035 and the NSE Nifty 50 index declined as much as 78 points from day's highest level to touch intraday low of 10,814. At 3:15 pm, the Sensex traded 118 points lower at 36,035 and the Nifty declined 17 points to 10,814. Reliance Industries, ICICI Bank, Larsen & Toubro and State Bank of India were among the biggest drag on the 30-shares Sensex, contributing over 100 points towards decline in the Sensex. Official data showed on Tuesday that consumer inflation in January stood at the lowest level recorded since June 2017. Also, industrial production (Index of Industrial Production) picked up to 2.4 per cent in December, from 0.3 per cent in the previous month. CPI (Consumer Price Index) inflation remaining below the Reserve Bank of India's medium-term target for a sixth straight month strengthened views the central bank could again cut the key interest rate at its next policy review in April. The 10-year benchmark government bond yield fell to 7.44 per cent from Tuesday's close of 7.53 per cent, while the rupee opened at 70.48 to the dollar compared to the previous close of 70.65. The rupee was last at 70.56 to the dollar. Consumer stocks were among the top gainers, with index-heavyweight ITC Ltd rising more than 2 per cent. Among the decliners, Zee Entertainment Enterprises Ltd fell 2.3 per cent and was among the top losers on the NSE index after certain promoter entities sold stakes in the company. The RBI had in a surprise move lowered repo rate - its key interest rate - by 0.25 per cent in its last policy review.